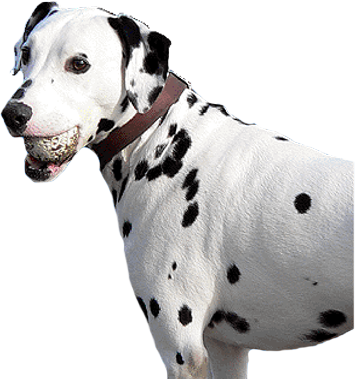 Pets Own Products and Blackdog Pet treats for Happy Pets and Happy People. June 2003. My little Chihuahua is a very special part of my life and your Pets Own Milk is his life line. With your product he has a happy and healthy quality of life. Dec 2005. Taz has been very ill since May and for a long time; I thought I would lose him. He is still not totally ?out of the woods? yet but he is stable. Anyway for many months he has survived solely on Pets Own and only last week did we slowly start to introduce small amounts of prescription food to see if his digestive system will tolerate it. I just thought I would write to tell you how much my dog enjoys your product Pets Own milk. I've been buying it ever since it appeared on the supermarket shelf and she now recognizes the carton and gets real excited when she sees me with it. As she is what the Vet would call an 'old dog', I'm glad it is possible to buy something she really enjoys. Hope you never take it off the market. Our clinic has been using Pets Own milk for a number of years now; previously we had used a variety of powdered milk replacements which had inherent problems and each batch mixed was different. The obvious result was that every time any milk was made up (as well as each lot being slightly different) levels of bacterial and other contamination existed. Not only was the Pets Own of a consistent quality and sterile it was actually cheaper on a basic material cost let alone the extra labor the powdered milk required. Our clients have had good results when using Pets own milk to raise the following animal: kitten, pups, rabbits, kangaroos, rats and goat kids. We currently use your Pets Own lactose free milk as a reward and behavioral enrichment training tool for a number of our cats. It is a treat that they love particularly our tiger and clouded leopard. We currently use around 1 litre of Pets Own Milk on a weekly basis, although this is small it will increase with the pending arrival from overseas of our female tiger. C Rejman. Zoos Victoria Australia. As you know we breed the fabulous Devon Rex at high standards so the people who purchase from us follow strict guidelines when it comes to the diet of their new bought pets. We stipulate that they use only Pets Own because it being a superior product over its rival. Our kittens have been raised on Pets Own and are in peak condition; also let's not forget the Queens. J. Romeo. Home of the Devon Rex. NSW. Australia. Pets Own is a wonderful product and everyone I recommend it to agrees to the point that their cats are just about happy with the milk and not interested in their normal food. Needless to say I will continue to use the product. I am writing to your company to congratulate and compliment you on your products especially yoghurt drops. I have an American Bulldog and Maltese Terrier who are very fussy with treats. I have spent so much money in search of the best suitable treats for them. Once they bit into the yoghurt drops and chewed a couple of times their eyes were popping out with excitement. I love the fact that there are no artificial flavours. I will now be your number one customer. Helen Smith for Valley & Missy Smith. River Run Drive, Melbourne Victoria.